Danielle Teale Dance is looking for dance artist collaborators for the upcoming Dancing with Parkinson’s CID project. The CID Project (Collective Identity) is a collaborative dance project which provides artistic engagement for people with Parkinson’s on a performative level, bringing visibility to the Parkinson’s dancer. The CID project will explore the empathic connection brought about through dancing and how dancing as a collective can impact on the individual dancer and his or her identity. This project will explore this idea through choreographic workshops, group dialogue and sharing, as well as through visual documentation and art-making from visual disciplines of film, photography and fine art. 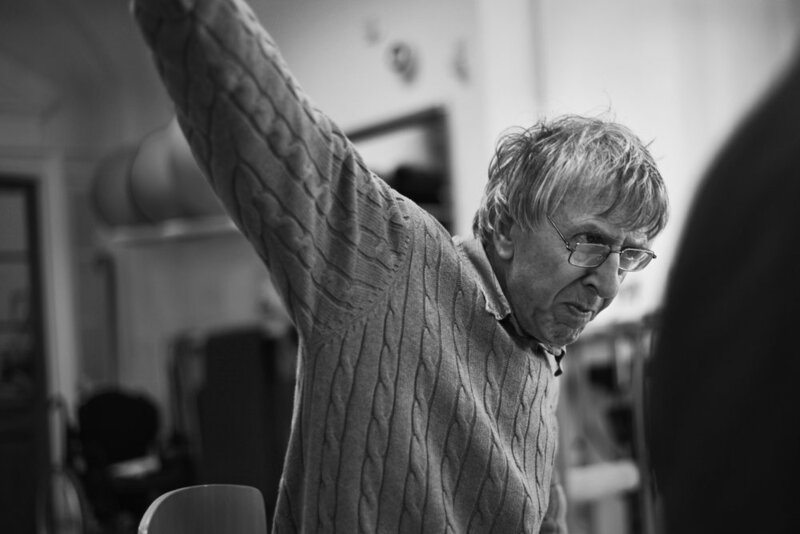 The project will see dancers with Parkinson’s and professional dance artists alike come together to experience the CID research and development process with guest choreographers, musicians and visual artists. The project has collaboration at its heart, and the dance artists recruited for this role will be comfortable dancing and performing as equals alongside people with Parkinson’s, and any family or carers who may join in this process. Please complete the online application below including your CV and references by Monday 6th May, 6pm. Applicants must hold and send proof of public liability insurance and recent DBS check. Thank you you for your application for the role of dance artist collaborator on the upcoming dancing with Parkinson’s CID project. You will be contacted by phone or email with the outcome of your application and if successful, a time / location will be proposed for your interview on 14th May. The Dancing with Parkinson’s programme at St. George’s Hospital Charity, Queen Mary’s University Hospital Roehampton, featured in the blog below for World Parkinson’s Day. Parkinson’s is firmly set aside up with my coat when I arrive at Danielle’s class at St. Joseph’s Hospice. I put my fuzzy cotton wool toes into my dance shoes and I am Elaine... a dancer. I may be a wobbly one but I can laugh at myself. I’m here and that’s what matters.